Tagged under Game of Thrones, Husbando, Beards, Short Hair, Brown Hair, Green Eyes. Jorah Mormont is a former Westerosi knight who fell out of favor with King Robert Baratheon after engaging in slavery to support his to-be wife's lavish lifestyle. 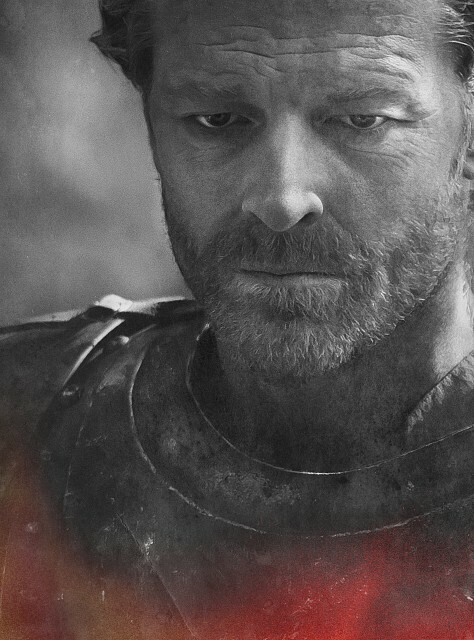 Lord Eddard Stark condemns him to death, but Jorah manages to flee. He ends up accompanying Daenerys Targaryen after her wedding to Khal Drogo: first acting as a spy for Varys in hopes of a royal pardon, then out of genuine concern and love for her after Robert orders her assassination. His feelings, however, remain unrequited.